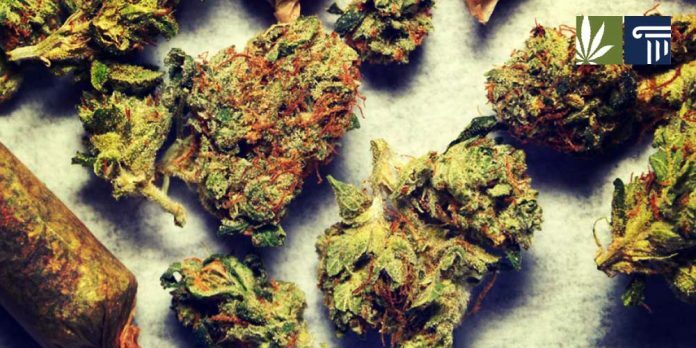 A recent poll conducted by the Marquette Law School of Wisconsin shows: “Sixty-one percent say marijuana should be fully legalized and regulated like alcohol while 36 percent oppose legalization. When previously asked in July 2016, 59 percent supported legalization and 39 percent were opposed.” This finding is consistent with other polls that show that support for legalization is growing across the country. “The tide in Wisconsin is turning,” said Representative Melissa Sargent, a Democrat from Madison who has introduced legalization bills to the legislature. With the exception of CBD, marijuana products are illegal in Wisconsin. “Lydia’s Law,” which legalized CBD for the treatment of seizure disorders, was signed by Republican governor Scott Walker in April 2017, after three years of legislative wrangling. Lydia Schaeffer died less than a month later at age seven. That same year, Walker signed a bill allowing the production of industrial hemp. From 1908 to 1957, Wisconsin was one of the nation’s top producers of hemp, including the hemp that made the ropes for the U.S. Navy. Voters will consider ballot measures in the cities of Racine and Waukesha, as well as the following counties: Brown, Clark, Dane, Eau Claire, Forest, Kenosha, La Crosse, Langlade, Marathon, Marquette, Milwaukee, Portage, Racine, Rock, and Sauk. The total population of the localities is reportedly 2.8 million—which is about 35% of the state’s population. In 2016, Racine county voted 49.8 percent for Trump and 45.4 percent for Clinton. Waukesha county voted 61.6 percent for Trump and 33.5 percent for Clinton. A recent nationwide poll, however, showed that for the first time, a slim majority of Republican voters support legalization, so it is no longer safe to assume that Republican voters will continue to vote in favor of prohibition. Governor Walker has opposed legalization, calling marijuana a gateway drug. His opponent, Tony Evers, supports the legalization of medical marijuana and has said he would sign a bill allowing for adult use if voters pass a referendum to approve it. The two candidates are tied in polls, both having the support of about 46 percent of the state’s voters. The Marquette Law School Poll interviewed 800 registered Wisconsin voters. It margin of error is +/-4 percentage points. What do you think? Will Wisconsin turn blue in November? Will voters approve the city and county legalization measures? Leave a comment below.